Feng Shui is follows a set of theories, and involves complex calculations. It requires a detailed understanding and use of the Yin and Yang theories, along with the balancing of the Five Elements (Fire, Earth, Metal, Water, and Wood), while taking into consideration the physical relationship between the natural environment and the magnetic field. Is it true that a painting, as well as a chandelier above the bed, can be bad? Everything in your bedroom affects your love life, therefore any objects that affect the flow of energy must be avoided. A chandelier, as well as any light fixture placed directly above the bed, is never a good idea. This rule applies only to a chandelier placed directly above the bed, not generally to a chandelier in the bedroom. As for a painting, it can have a negative influence only if it carries negative or inappropriate energy for a bedroom (example: lonely images, aggressive, or sad, very dark color combinations,… etc). 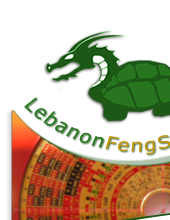 How is a Feng Shui reading done? A Feng Shui consultant uses a Lo-pan (special compass) to determine the energy characteristics of a building and its resultant effects on the building's occupants. Calculations are then done according to the basic principles, and remedies are prescribed where necessary, in order to balance the energy for a positive effect. Is using plants in bedroom good or bad Feng Shui? Plants create the strong and vibrant energy of growth and movement, hence this is not a recommended Feng Shui energy for bedroom, since lack of sleep could be a result. Is Feng Shui applicable only to houses? 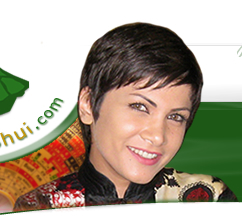 Feng Shui can be applied to analyze the energy of a city, state, country or even the world. Feng Shui is not related to any religion or belief system. It is a scientific discipline based on the analysis of energy. How long does it take for Feng Shui to work? It can work almost immediately. You can see its effects quickly, especially the effects of good energy. Electric and magnetic fields (EMFs) are invisible lines of force that surround any electrical device, such as power lines or the electrical cables in your home. They are created whenever electricity flows through a wire. Where do EMFs come from? Most EMFs are produced by human activities, but some occur naturally. The most common natural source is the magnetic field of the earth itself. Another source of natural electric fields is high voltage lightning flashes during thunderstorms and electrical storms. Televisions, radios, computers, mobile cellular phones, microwave ovens, and high voltage power lines also produce EMFs. What is the difference between an electric field and a magnetic field? Electric fields are formed whenever a wire is plugged into an outlet and remain present even when an appliance is not turned on. The higher the voltage, the greater the electric field. Magnetic fields are formed by the flow of current through wires or electrical devices. The greater the current, the higher the magnetic field. How can I determine if there are EMFs present? EMFs are present everywhere there is electricity. On a daily basis, we are exposed to EMFs generated by household wiring and any electrical appliance that plugs into the wall. Electric fields exist whenever equipment is plugged in, but magnetic fields exist only when equipment is turned on. Both types of fields get weaker with distance from their source. What will I get from having my Feng Shui analysed? Having you Feng Shui analysed hasmany benefits including better health, finances, increased mental clarity and peace of mind.